It’s beginning to look like prepaid phones are starting to become rather popular. In fact, I really think the market for prepaid smartphones is really growing, and growing fast. As you can probably tell, an increasing number of consumers are purchasing these prepaid services so that they can get a handset while keeping their monthly costs pretty low. T-Mobile is helping those consumers with that (and possibly even a move from Contract to Prepaid) by introducing the Samsung Galaxy S II on their prepaid monthly 4G service in conjunction with Walmart. As of today, consumers will be able to pick up the Samsung Galaxy S II off contract for $299. Monthly rates will be starting at 100 minutes of talk time, unlimited texts and 5GB of 4G data for just $30 per month. You have to remember that the important part of these prepaid plans is that there is no contract, so there’s no need for a credit check nor will you have to put in a deposit at the start of the contract. Some of the more tech-driven individuals that sit among us (also known as “nerds”) may just hate the idea of buying a year-old device (I may be one of those people), but you have to keep in mind that the Galaxy S II is further ahead of normal prepaid offerings. It’s a whole lot more advanced than what you would regularly find, not to mention that $299 for the handset is a fantastic deal. Of course, for only $50 more you could pick up the Samsung Galaxy Nexus straight off of Google Play Store (a very nice phone for that price) that will work great with T-Mobile’s monthly plan offerings. Some consumers still are fond of the idea of being able to walk into a store and just pick up a device with a plan and know where to go for service and support. That said, many might prefer the contract over the prepaid, but if you’re in a tight spot, this prepaid plan is a fantastic deal. What I found to actually be really cool was the fact that it’s on the 4G network and not limited to 3G and possibly lower. It’ll be really interesting to see if this plan really takes off. I’d actually love to see T-Mobile add more phones to this plan, and I’m sure they will if things end up going pretty well with it. What will really be interesting is when we see higher-end devices. Imagine seeing Samsung’s flagship handset, the Galaxy S III on a prepaid contract. Obviously that would be more expensive to purchase, but it’d definitely show that prepaid phones are on the rise. Is anyone interested in getting this Samsung Galaxy S II on T-Mobile’s (fairly cheap) prepaid monthly plan? I’d really be interested in it if T-Mobile’s 4G actually covered my area, but unfortunately it does not. 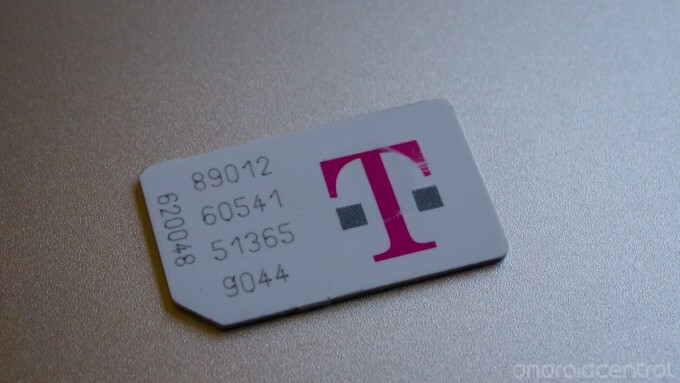 Do you think that prepaid plans are the future of mobile handsets? Let us know in the comments below, we’d love to hear your opinion!